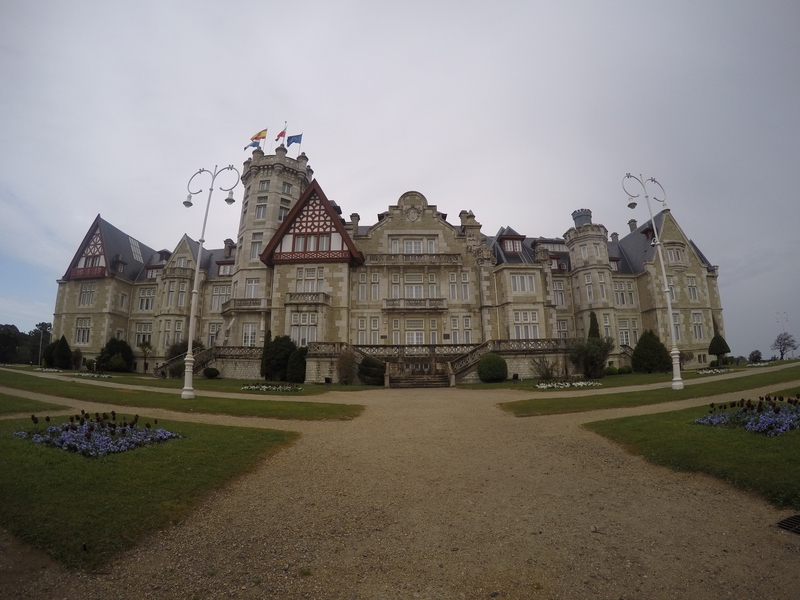 Day 2 – Santander – for people. for nature. Yesterday was our first full day in Spain! When we woke up, our hosts had already left for work and it was raining outside. The other guest Taka was awake too and he made us all pasta for breakfast before we all headed into town. Dave and I were spending the day in town then coming back to the house again in the evening, but Taka was laden and ready to go. Waiting outside the grand Curreos (post office). We went to the post office for Taka, then took him to the bus station so that he could go to Bilbao. Unfortunately he was told that he can’t take his bike on the bus, so he decided not to bother with Bilbao and head south straight out of Santander towards Morocco. From there, he was going to cross the Sahara to Senegal. Yeah, rather him than me!! After waving Taka off, we went for lunch then headed along the beach in the drizzle and looked at the views from under our raincoats. 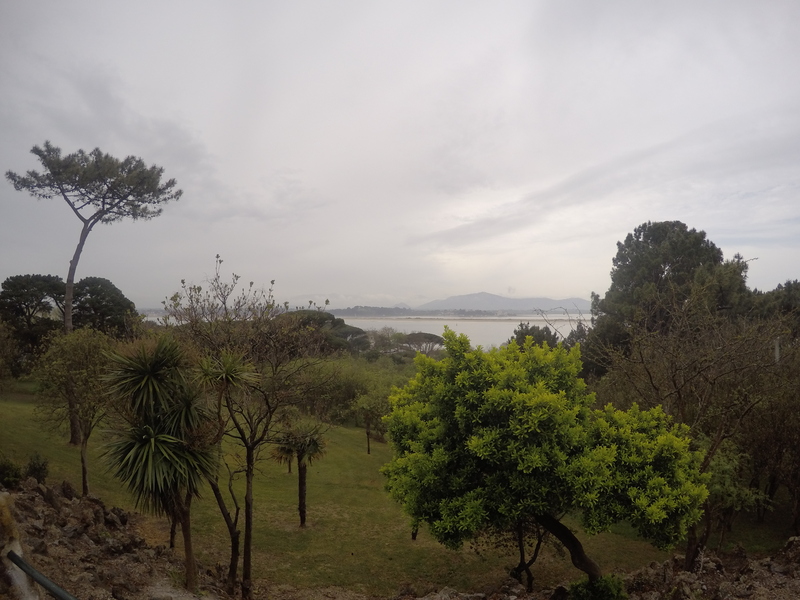 We stopped at a castle on a rocky outcrop with lovely gardens. On our way back, the sun came out for a bit and we enjoyed the lovely coastal views and the picturesque parts of town. Sunning ourselves outside the cathedral. 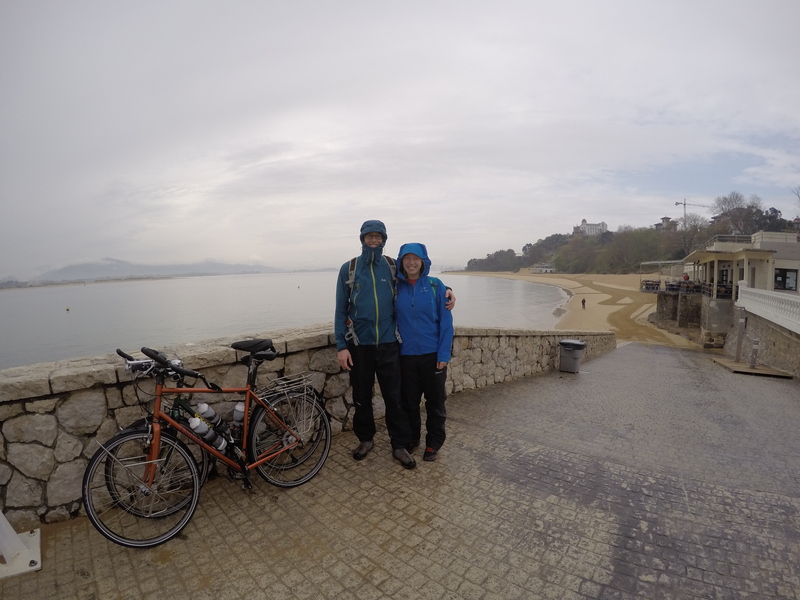 Then we were back with Silvia and Carlos and we made them a great British dinner of Shepherd’s Pie and we talked for ages about cycling and climbing in the Picos mountains that we will get to in a few day’s time. Very excited! 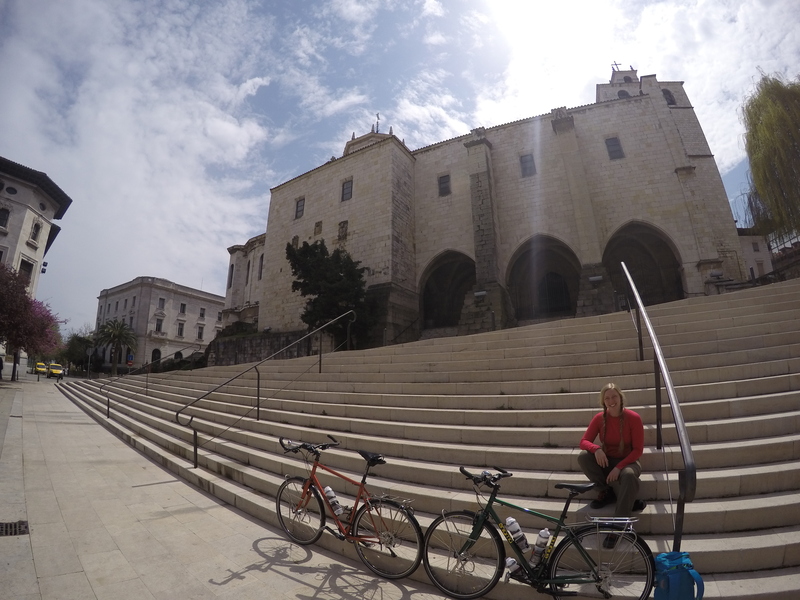 Day 3 – To Camillos!